Here's the solution to see the all installed Microsoft and other Windows updates in Windows 7! 1.) ... See all Windows 7 Updates! 2.) ... How to check for Windows 7 updates? 3.) ... Uninstall unnecessary Windows 7 updates! See also: ► uninstall Programs and Features in Windows 7! 1.) See all Windows 7 Updates! Please use Hot Key [Windows], enter in the Search-Box windows update (... see Image-1 ) and press key [ENTER]! 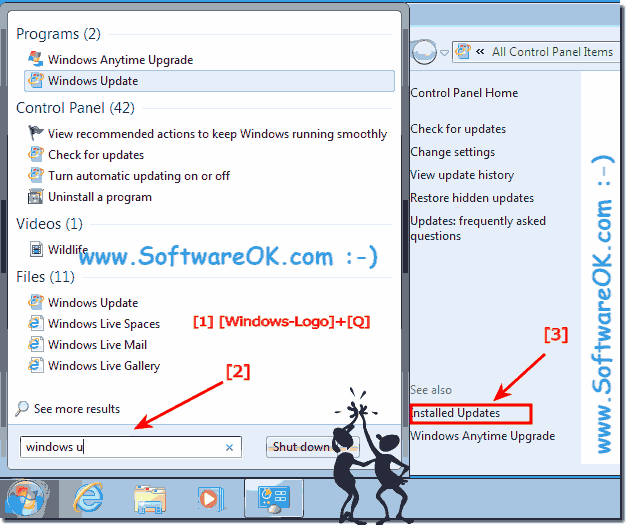 How to see installed Windows updates in Windows 7? Your Windows 7 computer is up to date when you have installed the latest updates for Windows 7 and your programs. This is the solution to see the all installed Microsoft and other Windows updates in Windows 7 Starter, Home, Professional and other Windows 7 OS! 2.) 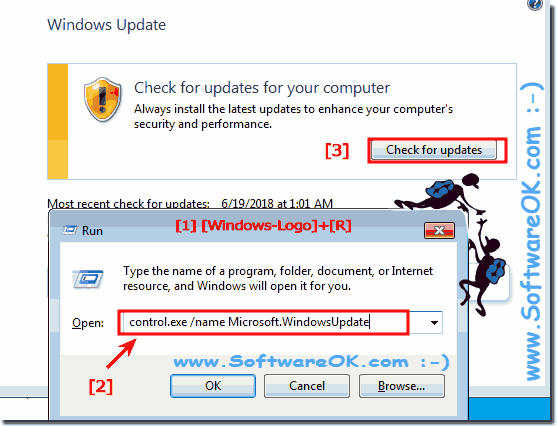 How to check for Windows 7 updates? use Windows-R keyboard shortcut and click the Button "Check for updates"
(Image-3) Check for Windows updates on Windows-7! 3.) Uninstall unnecessary Windows 7 updates! 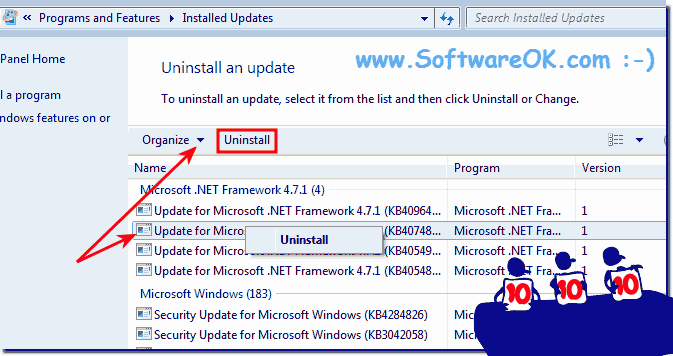 (Image-4) Uninstall auto updates from Windows-7! Windows-7 - FAQ-71: How to see all installed Windows updates in Windows 7? 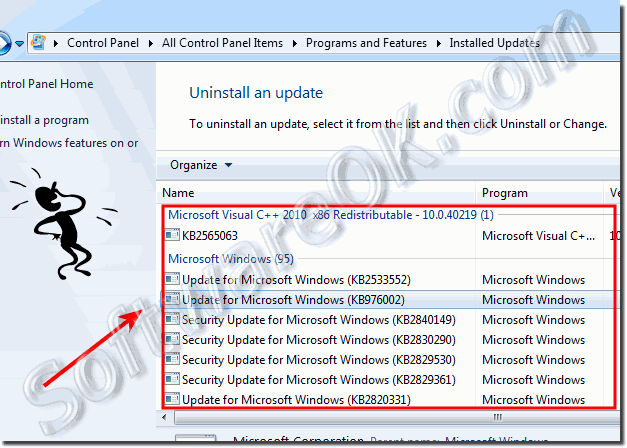 How to check what microsoft patches are installed in Windows 7? Windows 7 programs and features installed updates?